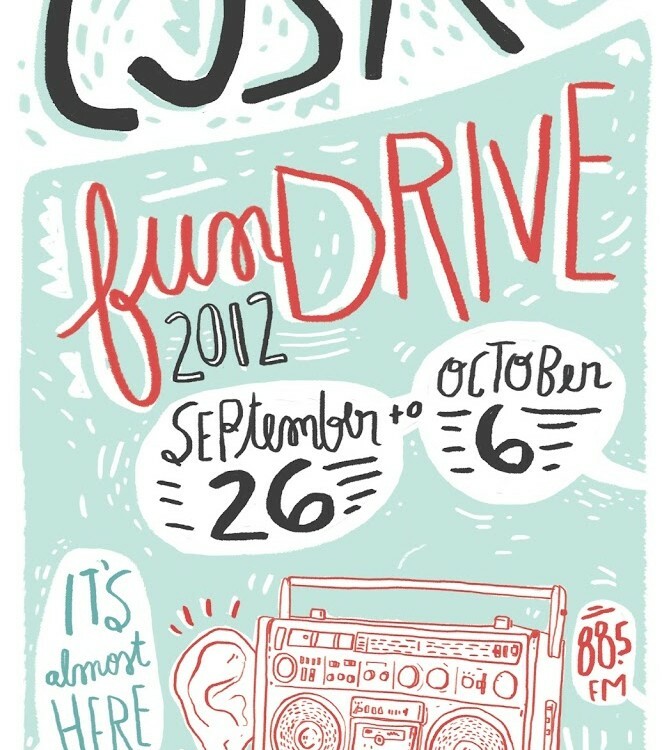 CJSR FunDrive 2012! It’s almost here! September 7, 2012 | Meagan Miller & filed under Uncategorized. Our annual FunDrive is almost upon us! CJSR is a volunteer powered community radio station that depends on the financial support of our listeners. Each and every fall we ask our for listeners to make a donation to support the station during our annual FunDrive. Donations received during the campaign are integral to the station operations and form one-third of the station’s annual budget. So, if you have the means to do so, please consider breaking open your piggy bank in support of Edmonton’s only listener-supported, volunteer-powered campus and community radio station. But that’s not all! Our FunDrive is also our opportunity to celebrate community radio! So keep your ears open for a special film screening and a whole whack of great concerts during our FunDrive. It’ll all be hosted by your friendly neighbourhood CJSR.